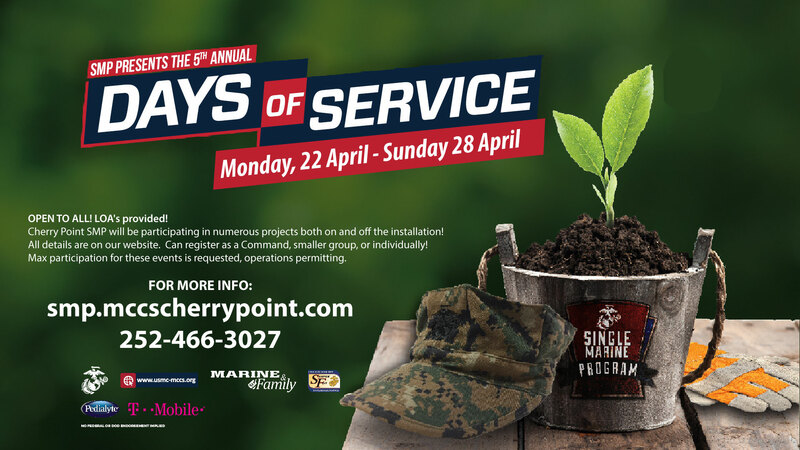 SMP will be hosting a variety of volunteer opportunities both on and off the installation! Please see additional details for each event on our website! Thank you for all of your support! LOAs will be provided for all events and will be available for pick up from the Roadhouse Recreation Center/SMP Front Desk. *** SMP Volunteer events are open to ALL Active Duty, Reservists, Retirees, Dependents, DoD, and guests. Please see ALMAR 007/19 regarding SMP Days of Service. Transportation reserved for active duty, with the priority given to single/unaccompanied Service Members.